On the morning of October 19th 2003, Lebanon witnessed a unique event in its history and hosted its first international Marathon. It all began with a dream that May El Khalil had of bringing the running culture to Lebanon. After surviving a near fatal accident while running, May El Khalil began to actualize her dream: from her hospital bed she oversaw the emergence of the Beirut Marathon Association. 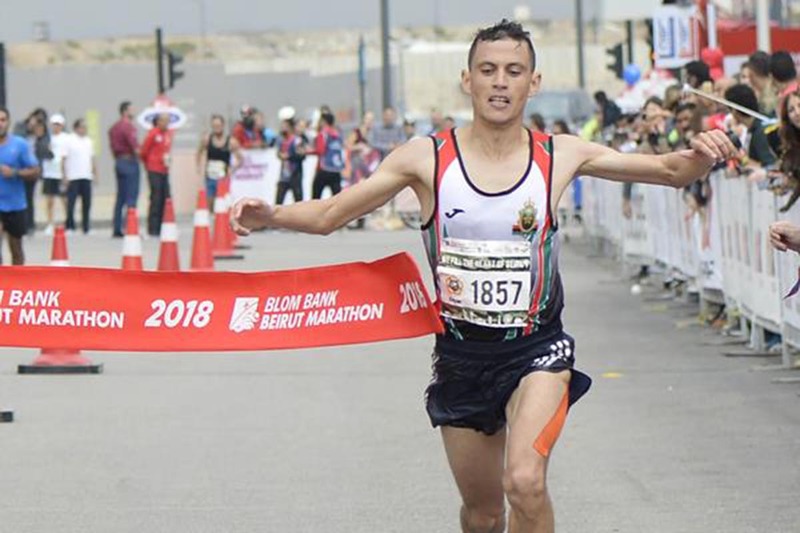 Armed with determination, unwavering resolve, and the help of her family, friends, and a dedicated team of supporters, May succeeded in establishing one of the most successful running events in the region, the Beirut International Marathon. Since the launching of that first race in 2003, the Association has grown and continued to thrive adding annual races, events, and activities that encouraged the growth of the running culture in the country. Today, the Beirut Marathon Association organizes the yearly Youth Race, Women's Race, Half Marathon and Beirut International Marathon. All this is accomplished with one goal in mind: to build the running community and culture across Lebanon with the message of peace and love. Additionally the BMA provides logistic help and offers its know-how to different organizations and communities around Lebanon and the Middle East who want to organize races of their own. (2017) Despite extremely warm conditions, Kenya’s Dominic Ruto took 23 seconds off the race record to win the men’s race in 2:10:41, while Bahrain’s Eunice Chumba ran 2:28:38 to improve the women’s record by more than half a minute. It was already 18C when the starter’s pistol fired at 6:30am and there was no cloud cover whatsoever. By the finish at Martyrs’ Square it was 23C. With the country in political limbo, the celebration was a tonic to the masses. Ruto overcame his favoured compatriot and defending champion Edwin Kiptoo to capture first place and the US$10,000 prize money. He out-sprinted Adane Amsalu on the finishing straight to beat the Ethiopian by four seconds, while Kiptoo could manage only third in 2:11:56. Kiptoo was brimming with confidence the whole weekend, having won the Breda Half Marathon in 1:00:42 in his final test before Beirut. Early on he was right on the heels of the two designated pacemakers through the half way point in 1:04:07 and found himself alone when the pacemakers dropped out. His lead was roughly 20 seconds at one point, but at 38 kilometres, with a successful title defence apparently in hand, he felt a tightening in his achilles tendon and visibly slowed. Ruto could see this too. A podium finish would suit Kenya’s Dominic Ruto Kipngetich just fine when he lines up for the 2017 Blom Bank Beirut Marathon on 12 November. But victory in thisIAAF Silver Label Road Racewould be even sweeter. Earlier this year, he recorded a new personal best time of 2:09:08 at the Rome International Marathonknocking 20 seconds off his previous best, also recorded in the Italian capital a year earlier. Clearly, he will be in a position to offer defending champion Edwin Kiptoo a serious challenge on the streets of the Lebanese capital. “My training for the Beirut marathon has been quite good so far,” Ruto says. “At the beginning of the season I was scheduled to run a marathon in China, in September. But I got a tendon injury and I had to reschedule my plans. Recent workouts have gone well giving me a feeling that I can try to be competitive. I ran an average of 180 kilometres per week. If her recent performances are any indication Eunice Chumba will be odds on favourite to challenge the Blom Bank Beirut Marathon event record when theIAAF Silver Label Road Racekicks off for the 15th year on Sunday 12 November. The 24-year-old Kenyan, who now represents Bahrain, ran a strong personal best time of 2:24:27 in Rotterdam on 9 April to finish second. Most impressive, however, was her superb victory at the Copenhagen Half Marathon where she knocked almost two minutes off her personal best setting an Asian record of 1:06:11. Just two weeks ago she shocked most prognosticators with a victory at the Lisbon Half Marathon with a time of 1:08:48. It seems the Beirut event record - 2:29:12 set by Mulahabt Tsega of Ethiopia - and the accompanying bonus is ripe for the picking. Securing the services of the defending champion is normally a sign that a race is in fine shape. So, it is, that Tigist Girma, winner of last year’s Blom Bank Beirut Marathon, will return to the Lebanese capital for thisIAAF Silver Label Road Raceon 12 November. The 24-year-old Ethiopian surprised many with her victory a year ago running the second half of the race pretty much alone and in temperatures that soared above 22C. It was also her third marathon of the year. Still, she recorded a time of 2:32:48. Earlier this year, 11 June, Girma was invited to run the Lanzhou Marathon in China. Again she finished on the podium claiming second place in a new personal best time of 2:32:15. Clearly, though, she is not satisfied with her times and has ambitions beyond 2:30. The Beirut Marathon Association is a non-profit organization whose vision is to become the leading running expert organization in the Middle East. Its races are by far the biggest and most popular sports events in Lebanon. Attendance and participation in the Beirut Marathon races continue to grow annually, and they command the attention of national and international media. The Beirut Marathon is an annual event that takes place in Beirut. 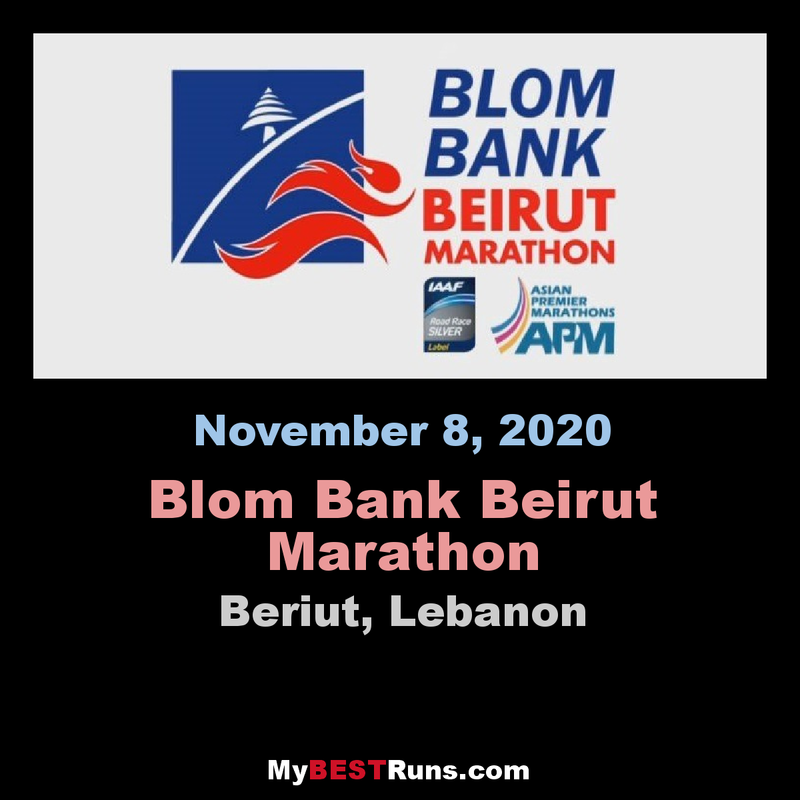 The first ever BIM was held on October 19, 2003 and attracted over 6,000 runners from 49 different countries and tens of thousands of spectators in Lebanon. These numbers increased every year which became 32.000 runners in BLOM Beirut Marathon 2009 from 71 different countries, and over 37000 runners in 2014. The race, created by businesswoman May El-Khalil, has the theme of unity at its core. Reaching out to all sides of the political spectrum in Lebanon, the day's events also include a 3 km race for MPs of any political allegiance, as well as members of the United Nations Interim Force in Lebanon stationed in the country. The 2010 edition of the men's race was won by the pacemaker Mohamed Temam. Hussein Awadah broke the Lebanese record at the race that year, completing the distance in at time of 2:20:31. The course was altered to make it faster and easier to organise at the 2011 edition and the men's and women's record were both improved that year; Seada Kedir knocked over five minutes off the women's best time. It is sponsored by the BLOM Bank.